Tributes have been paid to a prominent farmer and businessman who was killed in an accident on his farm. 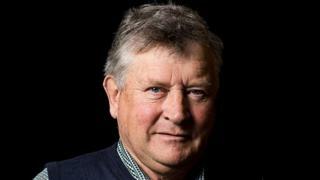 Sixth-generation dairy farmer Derek Mead, 72, employed about 300 staff across the Mead Group. A family statement said Mr Mead was killed in a "tragic accident" on Sunday afternoon "doing what he loved". He was reportedly involved in a freak accident involving a dog and a tractor at his farm in Hewish, near Weston-super-Mare in Somerset. The Health and Safety Executive said it had been alerted to the death of a farmer and an investigation was under way. "It's with a heavy heart that we have to let you know our father and grandfather, Derek Mead, was killed on his farm," the family said in a statement. Mr Mead campaigned hard for the dairy industry and had been a critic of the National Farmers Union (NFU) for many years, claiming it did not properly represent the interests of farmers. Speaking in 2015 he described all areas of British farming as being "on the floor" but said dairy farming had "been in crisis for the last 20 years and it's about time it was sorted out". Mr Mead was chairman of Puxton Park, near Weston-super-Mare, and of Junction 24, which is a business centre and one of the largest livestock markets in the South West. Chris Rundle, who worked as an adviser for Mr Mead, said his investment of £10m to help develop Sedgemoor Livestock Centre had "put new heart back in to the livestock trade". "But he never got recognition for it - people have got knighthoods for doing far less than Derek's done."